Earl Altshuler began his career in 1977 with Lincoln Financial Group (formerly known as Lincoln National Life), where he was part of a top sales team leading him into a management opportunity that continued at Sunlife of Canada. There he was honored the Western Regional Sales Manager of the Year (1981 and 1982). Earl then served as Vice President of Programmed Insurance Marketing, a large distributor of life and health insurance products to brokers on a national level. During his 8 year interlude as VP with Programmed Insurance Marketing, Earl also launched his own firm (Altshuler Insurance & Financial Services). 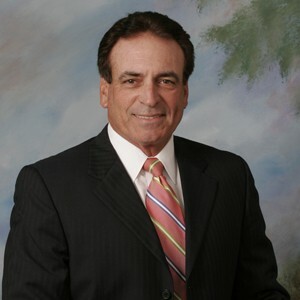 It is because of Earl’s leadership and expertise in the insurance and financial fields that he has invested in the growth of his brokerage firm: Altshuler Insurance Services, Inc. where he maintains a diverse range of clients from individual policies to large groups of 600+ employees. Both small and large companies look to Earl for his conception of the developing insurance platform and his strategic approach in benefits administration. Earl’s extensive 37 year history of working with group sales while preserving his integrity within the insurance field has allowed him the opportunity to educate client’s and colleagues who rely on his tactical approach to providing elite customer care and the building of benefit programs that are cost-efficient and supportive of the client’s requests. His empathy for his clients and his sensible approach toward the health insurance industry has positively reflected upon his commitment in his professional and personal relationships. Earl is a native San Diegan and a graduate of UCLA. He is married to his wife, Sandra, and together has four adult children. Earl is an avid golfer, past batting practice pitcher for the San Diego Padres and a member of the UCLA Baseball Hall of Fame. Earl is also dedicated to his community where he is an active Board Member for Seacrest Village Communities and the Guardians of San Diego. Earl is also a large supporter of the performing arts.